Wanna know a great way to stay happy this Holiday Season? Don't wait till the last minute to do your shopping!!! 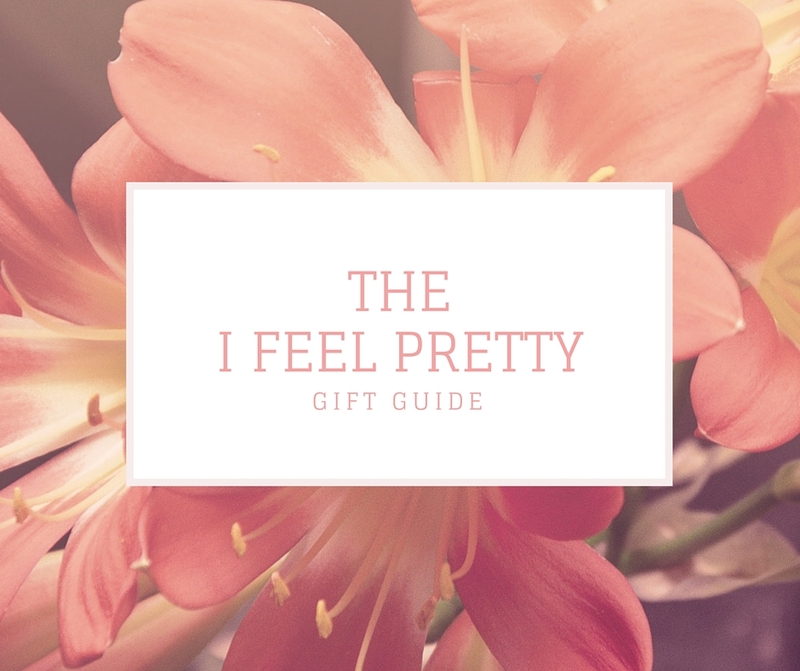 On that note - I've put together a small gift guide for anyone in your life that loves to feel pretty - whether it's your girlfriends, coworker, sister, or other female relative. This girl does it all. She's gorgeous, sweet, has an amazing voice (and wardrobe!) and she has a deliciously pleasant perfume. Mad Potion is a mix of bourbon vanilla and sweet white peonies. It's a very feminine scent that's light and airy. I love the hints of jasmine and amber in it. It's a great musk but it's not overpowering at all and it lasts all day. In case you've never heard of them before C4 Belts mission is to promote individuality through belts that give back, has a little system where you choose a color and you choose a cause. You get to choose from their charities to pick the one you like best and determine how C4 Belt's gives back 10% of your online purchase. For Breast Cancer Awareness C4 has a beautiful pink belt. Inside of the case you'll find a card with the 10 Facts About Breast Cancer as well as a Breast Self Exam card. This is a great gift for any woman in your life. I love the cute little plastic box it comes in too! I mean, you can't box a better night's sleep up.... or can you? You can with Sleep 'N Beauty. They offer luxurious 100% mulberry silk pillowcases and bedding. Any plastic surgeon or dermatologist will tell you which side you sleep on because they can see the sleep lines on your face. Silky soft pillowcases from Sleep 'N Beauty give you a natural anti-aging solution with undyed, chemical free, hypoallergenic, silk that prevents facial creasing and bed-head so you won't wake up feeling like a monster when you look in the mirror. You can even sleep better because silk is a natural heat regulator that keeps you cool when it's hot and warm when it's cool... this makes this a great gift for someone going through menopause!! And silk doesn't attract dustmites so it will really let you sleep peacefully. And for people that struggle with light at night, the mulberry silk eye mask is perfect for keeping everything dark and it won't draw excess moisture away from your skin the way a cotton eye mask would. The Emjoi Micro-Nail is perfect for giving you a smooth and shiny fingernail (and toe nails!) when you do an at home mani/pedi! It's battery operated so it's perfect for people who travel and it's nice and compact. This devices roller spins 360 degrees 30 times per second and gently buffs away ridges, imperfections, and discolorations while giving you a lovely shine. But it's also great for men so you can add this to a stocking for your hubby! I love that there are different rollers to attach and they all go in a nice little silk bag! This is so easy to use there's no reason not to get it for someone this holiday season! Which of these items are you adding to YOUR wish list? This is a great post, Ellen - love it!! I'm going to have to give that Katy Perry perfume a sniff or possibly order a sample from Sephora if they offer it. And now you've got me thinking about silk pillowcases to help minimize my wrinkles!! The silk pillowcase is AMAZING ever since the day i started sleeping on it. Let me know if you like the katy perry scent! !